1. South Korea – a small country situated on the Korean Peninsula in the center of East Asia. 2. The capital of South Korea – Seoul. The population of about 10.5 million people. For this indicator, Seoul located on the 9th place in the ranking populated cities in the world. The first place ranking is Shanghai with a population of 18 million people. 3. The density of the population of South Korea’s capital is 17 300 people / km2! First place in the world on this indicator takes the Indian city of Mumbai with the density of 20,700 persons / km2! 4. In 1910, Korea became the colonial government of Japan. In this status the country was until 1945. 5. Before the religion of Confucianism on South Korean territory was distributed shamanism, but the official status he never had. 6. Korean scientists are the world’s leading experts in the field of mathematics and technology. 7. Korea boasts the world’s leading brands in the field of information technology. The most famous are the companies Samsung and LG. 8. The country is in the top 5 of the largest car manufacturers in the world. 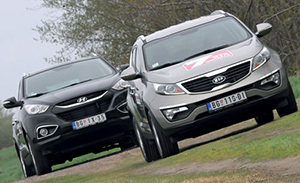 The most popular brands are Hyundai and Kia. 9. Interesting fact: the Church of Yoido Full Gospel Church in the area is the most visited Christian church in the world! Each week, the church has more than 20,000 members. 10. The most visited museum is the Museum of Seoul Optical Illusions (Trick Eye Museum). 11. South Korea is the largest shipbuilder in the world! 12. Interesting fact: at Seoul National University first cloned dog! 13. Korea Institute of Science and Technology (KAIST) has developed a second humanoid robot in the world that can move independently on two “legs”. 14. The Korean scientists have created a «EveR-1″ – the second female android in the world – an interesting fact. 15. South Korea is the most densely populated country in the world. On 1 km2 account for 480 people. 16. The country has a population of 50 million covers an area of only 99,392 km2. 17. The dominant religion in South Korea is Christianity (29% of the population). The second in the number of practicing religion – Buddhism (23%). More than 46% of the population are agnostics and atheists. 18. Did you know that per capita GDP in 1963 was only $ 100, but now it has reached the level of 29 000 $. 19. Interesting fact: the extinct volcano Halla on Jeju Island is the highest point of the South Korean government. Its height is 1950 meters above sea level. 20. Throughout the country there are more than 20 national parks. 21. 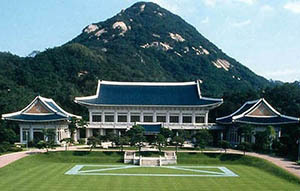 The President’s residence is called “Blue House”. It is the largest structure on the peninsula. 22. In 1988, the Seoul Summer Olympic Games were held, where the national team of South Korea took the 4th place. 23. At the 2012 Summer Olympics in London, the South Korean team entered the top five best teams. First place at these games have taken the United States of America. 24. The economy is in 14th place in the world, as the country is a 6-largest export and the 10 largest in the world imports – an interesting fact. 25. It developed the first digital textbooks, which will study children and students. Full transition to e-learning system is scheduled in 2013. 26. The word “cybersport” and all professional competitions in the field of video games first appeared in South Korea! Game «Starcraft» gained a lot of popularity in the country. There were conducted championships at all levels, even create entire league and clans. Official statistics: more than 500 thousand only licensed copies were sold in the country! 27. Interesting fact: in Korea was invented martial art Taekwondo. 28. It is proved that the Europeans first arrived in South Korea in the late 1600’s. It was the crew of the Dutch merchant ship. 29. Han River – the longest river of the country. It is the main source of water for thousands of years. 30. For excellent economic performance and development of modern technologies, South Korea, Singapore, Hong Kong and Taiwan called the “Four Asian Tigers”! 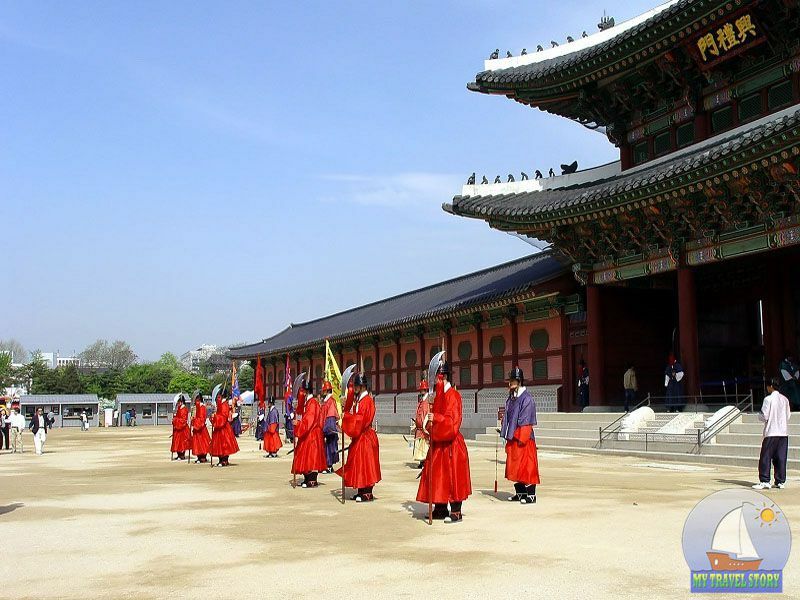 Today, our article will tell you interesting facts about South Korea. It provides information, useful information about the culture, history and everyday life in South Korea.